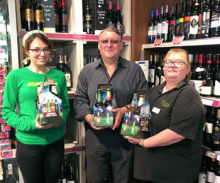 Anyone who’s drunk a West Berks beer will know just how good it is (Good ol’ Boy a fave), anyone who’s been to the Brewery will know what an impressive outfit it is. It has had huge investment in the past 18 months and can now boast one of the best brewery facilities in Southern England, including a fantastic bar and kitchen. Before you enter please make sure you’re available on May 11th (and have someone to take! ), or can change your plans…. This is open to all Platinum Club members over the age of 18, so simply login to the right and leave your answer to enter. If you aren't already a member, you can join our FREE Platinum Club. 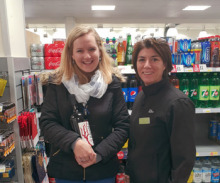 Please note – if you are the lucky winner you shall be contacted after the prize draw is closed and must be available for a photo in your local store and pick up the prize the next week. 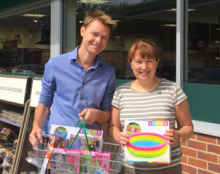 Unfortunately if you are not contactable by the email given you may forfeit the prize. 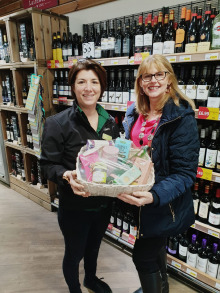 Congratulations to Suzanne steer who was the lucky winner of the Spring hamper! She correctly told us that Old Mother Hubbard’s cupboard was in fact bare! Enjoy! 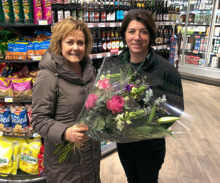 Congratulations to Julie Rodgers who was the lucky winner of the beautiful bouquet of flowers for her lovely romantic story. 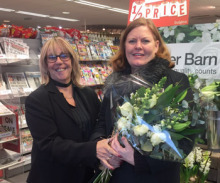 Julie said ‘My husband arranged our honeymoon without telling me where we were going! He packed my clothes, arranged for me to be off work and organised it all! It wasn't until we got to the check in desk at Gatwick that I found out we were going to the Maldives! What a romantic!’ We agree…hope he’s kept it up! 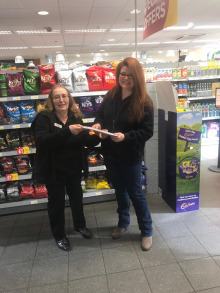 Congratulations to Louise White who was the lucky winner of a years worth of Car Washes. Well done you! 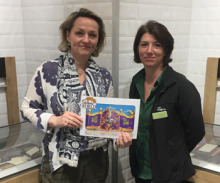 She correctly answered our valeting themed question by telling us that Rose Royce sang the hit single ‘Car Wash’…. You know that all ‘you’ll be talking about is the car wash, girl! 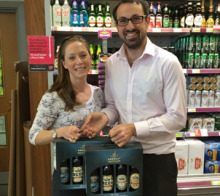 Congratulations to Ashley James Sturges who was the lucky winner of the selection of Craft drinks. 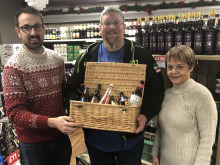 His newly named craft ale was a worthy winner… actually he named 3 new craft ales ‘Sly Fox, Crafty Fox, Intriguing Fox... as a Triple range of Craft Beers... because they’d chase the ‘Old Speckled Hen’..!! 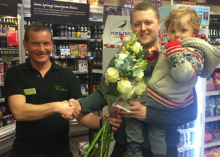 Congratulations and we hope you enjoyed them over the festive season! 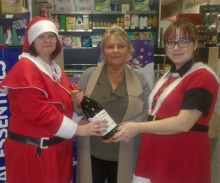 Congratulations to Emma Munro who correctly guessed that Magnum PI is the 80’s hit show detective sharing the same name as our Christmas sized bottle of wine. Enjoy Emma... definitely a showpiece for the Christmas table! 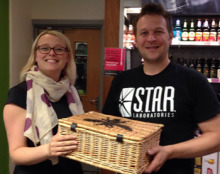 Congratulations to Darran Brown who was the lucky winner of the Brioche treats hamper for October. 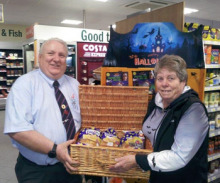 His short story got our nerves jangling here at HQ…..
Congratulations to Stephen who won the Cadburys World tickets for his creative twist on a Cadburys Chocolate Bar. 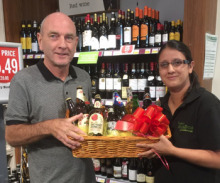 Congratulations to Lawrence Park who was the lucky winner of our selection of beers from Heineken. 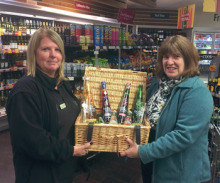 Congratulations to Barbara Burket who won last months month hamper of fine food from Holleys. 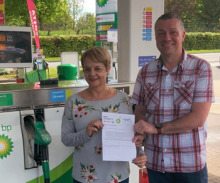 Congratulations to Neil Holroyd from our Brize Norton site who was the lucky winner of the tank of fuel! 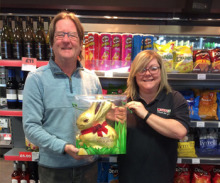 Congratulations to Gary Bunn of Lower Earley store who won the Easter 1KG Lindt Chocolate bunny! 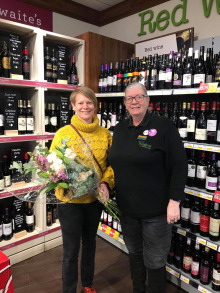 Congratulations to Jan Reid from our Three Mile Cross store who won our Romantic bunch of Flowers from Cotswold Flower Barn for her proposal story. 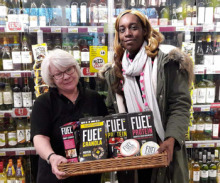 Well done to Syreeta Simpson who won the 10K Fuel Protein breakfast bundle in our first Prize Draw of the year. 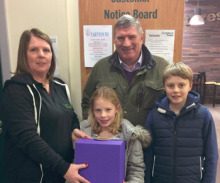 Congratulations to Martin Lawson-Smith who was the lucky winner of our prize draw this month. 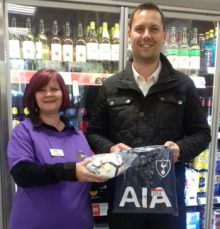 Well done to Stephen Willis from Lower Earley who won the Premier League shirt for his pretty inventive Cadbury themed team. 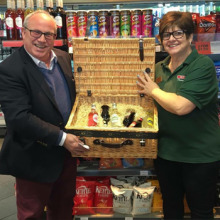 Congratulations to Brian Presley from the Marlborough store who won a festival hamper of drinks in last month's prize draw! 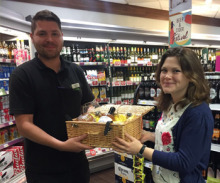 Congratulations to Joanne Brierly from our Brize Norton store who won the hamper of fine food in last month's Prize Draw! 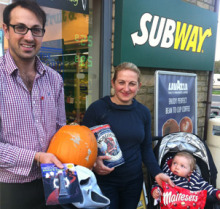 Congratulations to Antonio Guimaraes who was the lucky winner of tickets to Cadburys World in last month's Prize Draw! 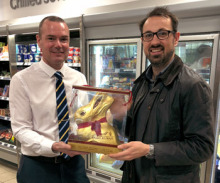 Congratulations to Denis Kennedy from Witney who was the lucky winner of the 1kg Lindt Chocolate bunny for his amusing Easter themed limerick. 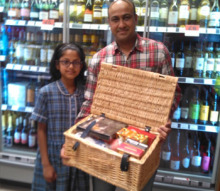 Congratulations to Marcus Bishopp for winning last months case of scrumptious ProperCorn. 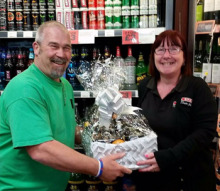 Congratulations for Michael Kitching who won the hamper of honey for correctly answering that over their lifetime 12 worker bees make a whole teaspoon of honey! 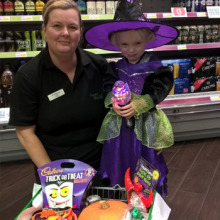 Congratulations to Louise King from our Yarnton store who won a fantastic selection of Halloween goodies. 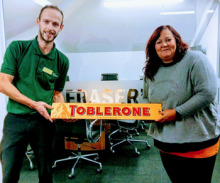 Congratulations to Penny Willis from our Cannon Pool store who send us a photo of her Green & Blacks inspired baking! 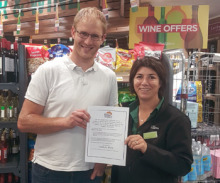 Congratulations to Rosanna Hope from our Marlborough store who correctly guessed that the Brazilian national cocktail is a caipirinha! 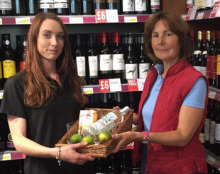 Congratulations to Nicola Perkins who won a selection of summer goodies in last month's Prize Draw! 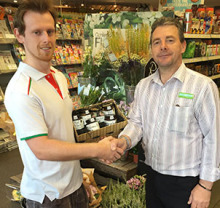 Congratulations to Gavin Creber who won a delicious summertime hamper of honey in last month's Prize Draw! 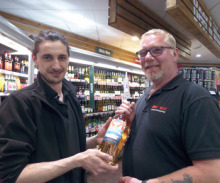 Congratulations to Andrew Dix who won a selection of local ales (courtesy of Craft Drinks) in last month's Prize Draw! 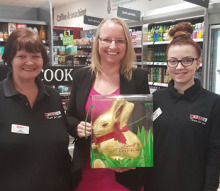 This month we have chocolate bunnies everywhere! 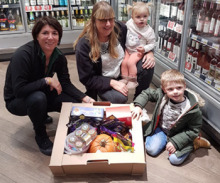 The winner of the prize draw was Kate Hitchings from Lower Earley who told us that on Easter Sunday her family 'eats their Easter eggs after we have rolled them down the stairs to crack the chocolate shells!' Sounds fun. 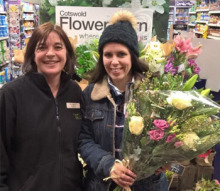 Congratulations to Serra Malta who won a bouquet of flowers courtesy of Cotswold Flower Barn in our Prize Draw! 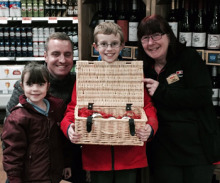 Congratulations to Michael Hocken from Cannon Pool who won a refreshing hamper of Fentimans Drinks in our Prize Draw! 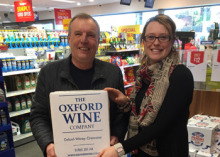 Congratulations to our latest Platinum Club Prize Draw winner, Louisa Packham, who won some fantastic party wines from the Oxford Wine Company! 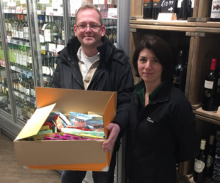 Congratulations to our latest Platinum Club Prize Draw winner, Pedro Ferraro from Brize Norton, who won a Christmas Cheese and Chutney Hamper! 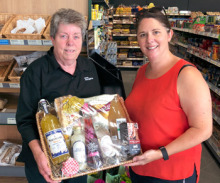 Congratulations to our latest Platinum Club Prize Draw winner, Angela Hilton from Yarnton, who won a sweet hamper! 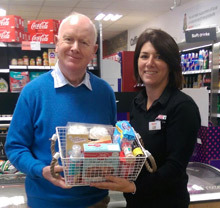 Congratulations to our latest Platinum Club Prize Draw winner, David Leon, who won a load of baking goodies! 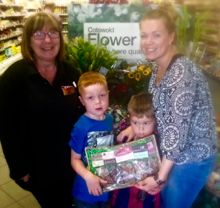 Congratulations to our latest Platinum Club Prize Draw winner, Joanne Brierley, who won a fantastic hamper of Cotswold Fudge! 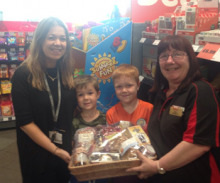 Congratulations to our latest Platinum Club Prize Draw winner, Amy Get, who won the 'Relish The Thought' picnic hamper! 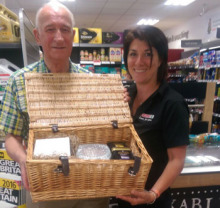 Congratulations to our latest Platinum Club Prize Draw winner, Dennis West, who won the lovely hamper from Twinings! 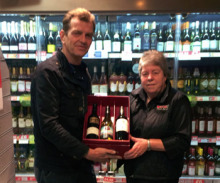 Congratulations to our latest Platinum Club Prize Draw winner, Angela Jameson, who won two Arkells Beers Gift packs! 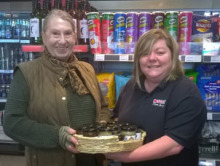 Congratulations to our latest Platinum Club Prize Draw winner, Carole Abilad, who won a fabulous hamper of Oxford Honey. 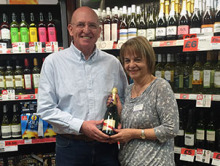 Congratulations to our latest Platinum Club Prize Draw winner, Garry O'Brien from Brize Norton, who won a bottle of GH Mumm Champagne. 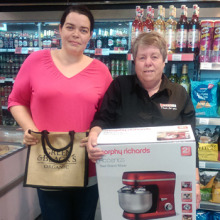 Congratulations to our latest Platinum Club Prize Draw winner, Michelle Cook, who won a collection of scrumptious cakes from Fatherson Bakery! 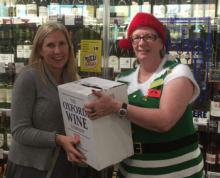 Congratulations to our second Platinum Club Prize Draw winner, Lesley Adams, who won a case of wine from the Oxford Wine Company! 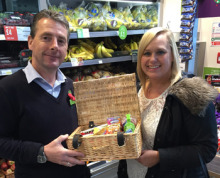 Congratulations to our first Platinum Club Prize Draw winner, Claire Fitton, who won a hamper full of local goodies!